/ins.For developing the Helix Dumper, an innovative wagon solution that is highly durable and far more efficient than other ore wagon offerings, Kiruna Wagon has been named a finalist for the Swedish Steel Prize 2017. The Swedish Steel Prize is an international prize that honors the art of engineering and innovation in the steel industry. Kiruna Wagon from Sweden, is one of four finalists for this year’s prize, which will be awarded during a ceremony in Stockholm, Sweden on May 11. “Our customer had found a small design that they wanted to make into a large dedicated wagon concept. 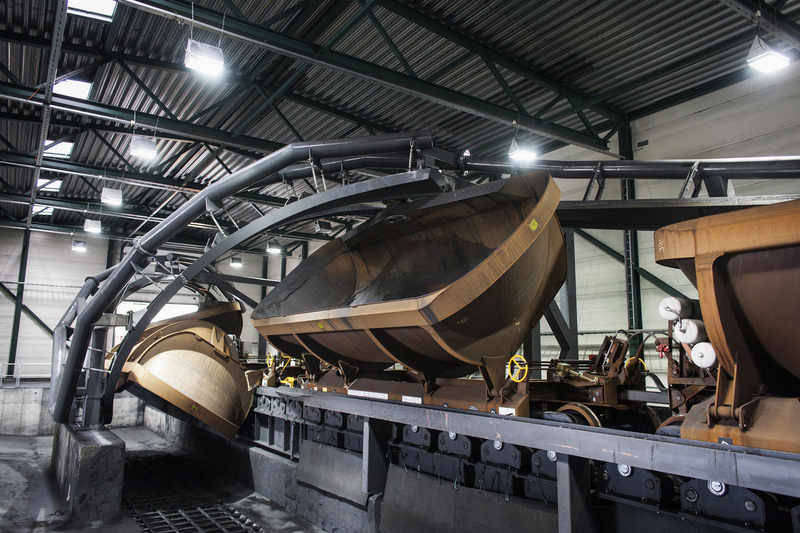 There were many challenges to overcome, including how to achieve a carrying capacity of a 100-ton payload, while keeping the wagon light,” explains Fredrik Kangas, Managing Director at Kiruna Wagon. The resulting Helix Dumper is a lightweight wagon structure with a high payload and an ingenious offloading solution that has an unloading speed of 25,000 tons per hour, which is twice that of other systems. The design utilizes high-strength steel extensively in the structure of the wagon as well as for the stiffeners around the wagon body and for the top rail of the wagon. Wear-resistant steel is used in the two arches at the offloading site. “The Helix Dumper is designed in a way that minimizes wear, which was one reason we believe that our choice of materials was optimized,” says Kangas. When comparing with other systems, a complete unloading system for the Helix costs 1/7th of what a rotational wagon cost. Furthermore, the Helix uses parts of the potential energy of the ore to push the wagon forward as it unloads. This means no extra energy is required and there is much less dust with almost no noise.